This is a new regular blog-slot where we look at a news story that has taken off in that month. March has been awash with controversy and genuine news, from the aftermath of the Christchurch quake to the even more tragic Japanese earthquake and its resulting tsunami, rising death toll and imminent nuclear meltdown. Not to mention the scandal in the AFL with player manager Ricky Nixon and allegations of misconduct with a 17 year old girl, to Charlie Sheen’s outrageous public outbursts and increasingly weird behaviour to the prospect of war with Libya and more floods in Queensland and New South Wales. The story we’re going to touch on as a Media storm of the Month though is the story about the YouTube video of the Year 10 Sydney student being bullied by a Year 7 boy. The story broke around the time of the National Day of Action against Bullying and Violence. 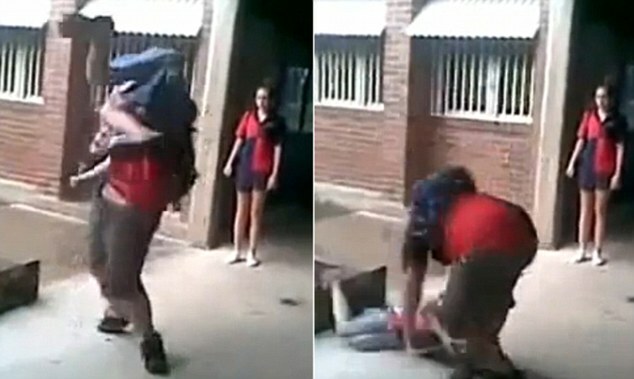 A video was posted online of a much smaller boy punching another boy in the face and body; after several rounds the larger child suddenly retaliates, lifting the smaller boy off the ground and smashing him into the ground and leaving him to stagger off. Something that should have been sorted out by the school, the boy’s parents and the boys themselves has, thanks to the huge popularity and growth in social media and online networking sites, grown out of all proportion. There was media outrage at the video and the attack and we now know that the larger Year 10 boy is 15 year old Casey Heynes, who has been bullied most of his school life and considered committing suicide last year, and the bully is 12 year old Ritchard Gale. Both boys are now part of a media circus with interviews on major TV networks and coverage in all the main newspapers. It has aired some interesting points and, it can’t be denied, was ‘good timing’ for a national bulling campaign. It has sparked a debate about bullying and violence in schools making other children affected not feel alone. Anti-bullying and children’s help charities such as Headspace, BeyondBlue and Kids helpline have all been able to jump on the bandwagon getting out their messages and contact details for all the other children who might be in need. But the talk is also about what is it right to do to stand up for yourself? Casey had obviously been provoked and bullied for a long time, but was it right for him to retaliate with such force? And how about the boy who filmed the whole incident on his mobile phone, shouldn’t he have been reprimanded as well? Should mobile phones be banned from schools all together? What can we do about this apparent rise in ‘cyber’ bullying? But also, do children need to be protected from the media and journalists? In their desperate quest for ‘exclusives’ and ‘scoops’ the television news shows particularly escalated the issue and have effectively given credence to a schoolboy disagreement by asking ridiculous questions and adding weight to immature thoughts and feelings. Channel 9 even apparently showed Channel 7 interview coverage and claimed it as its own. A story about a schoolboy fight provoking a media battle, what is the media world coming to?